Come here Beaufort play improvisational folk rock at Community Arts Center’s inaugural Tie-Dye Music Festival on Saturday, July 13th at 414 Plush Mill Road, Wallingford, PA.
What’s better than a music festival? A tie-dye music festival! 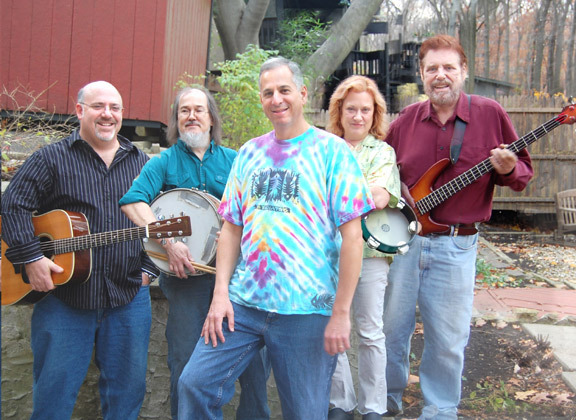 Community Arts Center, 414 Plush Mill Road, Wallingford, PA, presents their first annual Tie-Dye Music Festival on Saturday, July 13, 2013, from 2 – 7 p.m. The Tie-Dye Music Festival is an all ages, free admission, family event sponsored by Franklin Mint Federal Credit Union. Replacing CommunityArtsCenter’s Free Friday Night Summer Concerts in July, this new CAC music tradition features six different local music acts, Whirled Peas, Beaufort, Gordon Vincent, Friday Revival, Herb Mondros and JB Cole, tie-dye activities, vendors, food, raffles, and more! A celebration of the care-free days of summer and the creative and colorful process of tie-dying, attendees may purchase event t-shirts for $10 and tie-dye them themselves for no additional charge or people may bring up to 2 items of their own to tie-dye for a $5 charge. CAC staff and expert tie-dye artist Bob Deane will be on hand to help participants with the tie-dye process and with achieving the desired design and color of their finished products. Throughout the day, six local bands, each with their own unique sound, will entertain festival-goers. Music includes the bluegrass sounds of the Whirled Peas, improvisational folk rock from Beaufort, well crafted original music by New Jersey singer-songwriter Gordon Vincent, your favorite classic rock by Friday Revival, carefully selected acoustic covers by Herb Mondros and original music from Wilmington’s JB Cole, who is quickly gaining popularity as an emerging talent. The Tie-Dye Music Festival is a rain or shine event. Guests are encouraged to bring chairs/blankets if outside. If inside, chairs will be provided. Additional parking provided by Pendle Hill, next door to the CAC, at 338 Plush Mill Rd.